Dr. Joshua Coleman is an internationally known expert in parenting, couples, families, and relationships with over 30 years of experience as a clinician and educator. 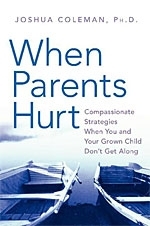 His book, When Parents Hurt: Compassionate Strategies When You and Your Adolescent or Grown Child Don’t Get Along explores the many ways that today’s parents feel alienated, shamed, guilt-ridden, worried, or rejected by their adolescent and grown children, and offers comprehensive, research-based solutions to solving this national problem. Coleman’s warm, funny, and engaging speaking style makes him a much sought after speaker for schools, parenting groups, religious institutions, and businesses. Coleman is a Senior Fellow with The Council on Contemporary Families (a distinguished national organization of academics, researchers, and clinicians) and serves on the training faculty of the San Francisco Psychotherapy Research Group. 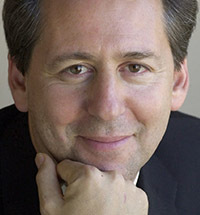 In addition, he has served on the clinical faculties of The University of California at San Francisco and The Wright Institute Graduate School of Psychology in Berkeley. Coleman is a frequent guest on The Today Show and has been featured on ABC 20/20, Good Morning America, The BBC, NPR, AOL Online Coaches and America’s Newsroom. He is also a sought after expert for news programs for FOX, ABC, NBC, and CNN. Coleman is the author of four critically acclaimed books, The Marriage Makeover: Finding Happiness in Imperfect Harmony, The Lazy Husband: How to Get Men to Do More Parenting and Housework, Married with Twins: Life, Love, and the Pursuit of Marital Sanity. The Lazy Husband was an international sensation published in The U.S., The U.K., Australia, and South Korea. Coleman is a contributing editor to Twins magazine and a frequent contributor to the San Francisco Chronicle. His advice has been featured in numerous publications including The New York Times, The London Times, Chicago Tribune, The London Daily Telegraph, Psychology Today, The Guardian (UK), The Christian Science Monitor, Reader’s Digest, Variety, Men’s Health, Parenting magazine, Elle, Cosmopolitan, Family Circle, Inc. magazine, Glamour (U.S. and U.K.), The Irish Independent, The Calgary Sun, and many others. He has also appeared on CNN Radio, Washington Post Radio, ABC News Radio, Irish National Radio, and numerous other radio programs in the U.S., U.K., Ireland, Canada, and Australia. He is a psychologist in private practice with offices in San Francisco and Oakland, California and is the proud father of twin sons and a daughter.